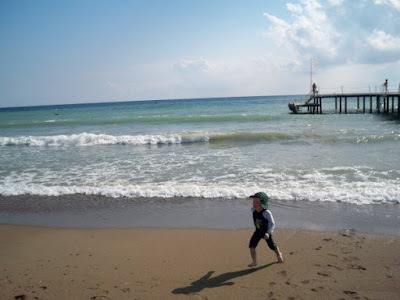 We have travelled to Turkey with our children before and it's fair to say we fell in love with the country. The people are so friendly and welcoming and it really is a beautiful place. I am delighted to bring you a collaborative post today which advises you a little more of what to expect. 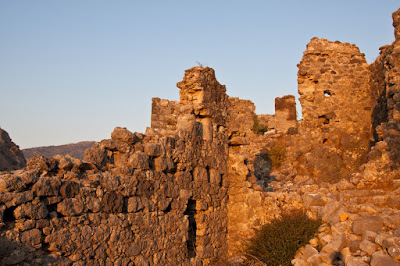 While it can be dangerous to hold holiday travel standards to far off destinations very high, it is safely assumed that taking a blue cruise on the Mediterranean and Aegean coastlines in southwestern Turkey will live up to high expectations. Alaturka Cruises has over 13 years of experience creating unforgettable memories with blue voyage Turkey. With a fleet of gulets waiting for your expedition to begin, we would like to welcome you to the Turkish Riviera- where all your senses will be enticed. Of course relaxing is the ultimate feeling we strive for while on holiday, however this can come in many forms. The warm Mediterranean sun shines brightly on your skin as you sunbathe on the shores of Kemer, while drinking a crisp, cold beer to chill your insides. As your specially chosen gulet leaves the port city of Fethiye, stand on the front deck to enjoy a head to toe sensation as the pleasant sea breeze blows away your modern day worries. Jump in the refreshing aquamarine waters at Kaputas Beach near Kalkan for a full body rejuvenation. The tepid salty water provides a saline-filled cushion that allows you to float as you exhale the stress from your body. Sustenance comes in many forms though edible delectable treats are a specialty in this region of Turkey. It is highly advisable to imbibe the anise-flavored spirit Raki, which will turn any dinner table into an endless storytelling session full of laughter. Raki is typically served along with numerous mezzes usually including variations of Turkish favorites such as cucumber and yogurt cacik, feta cheese stuffed roasted red peppers, fresh sea grass soaked in lemon and olive oil or perfectly grilled octopus. The options for Mediterranean tapas are boundless. If you find yourself strolling the promenade near the Bodrum marina, be sure to look for mandalina ice cream. Made from locally grown mandarin oranges, the sharp citrus flavored treat will awaken your taste buds. For fresh Turkish coffee served in traditional Ottoman style, find your way to Bayramefendi Osmanli Kahvecisi. Order your coffee “orta” for medium sugar which will tame the bitterness, however Turkish coffee is always served with a few cubes of Turkish delight and the occasional shot of crème de menthe to wash it all down. 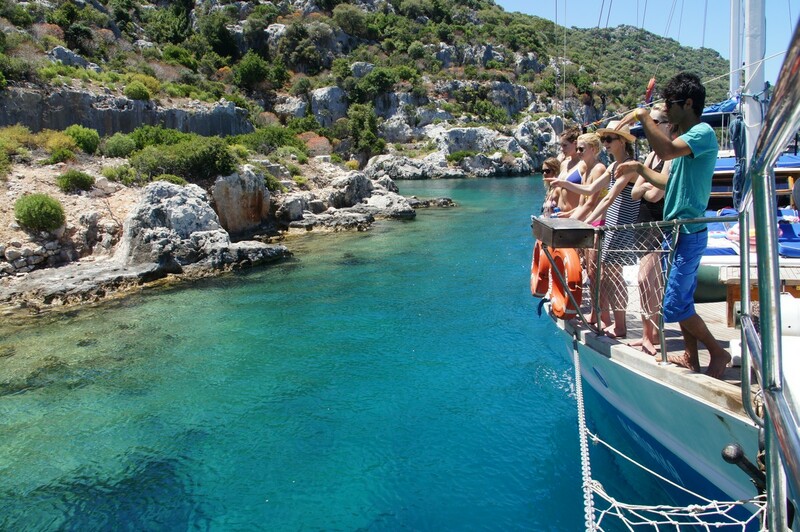 Of course the smells of salt water and fresh fish are abundant during a voyage around the Turquoise Coast, yet there are so many more delightful smells. As you hike through the lush forest in Olympos, inhale the sweet smell of flowering oleander, the woody smell of bay trees- pick a few leaves to use for cooking later- and the fresh green smell of pine. For some the ultimate moment of appreciated relaxation is being woken up from an afternoon nap by the smell of chicken smoking away on a grill. 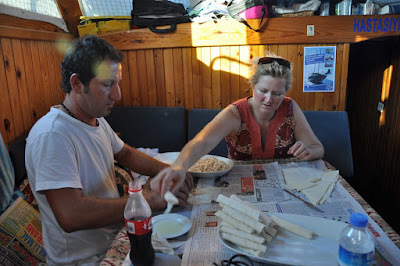 All gulets are equipped with barbecues, so grilled feasts are typical for a dinner onboard the boat. Every gulet is supplied with a sound system for you to create the soundtrack to your blue voyage, whether you prefer rock, jazz, classical or anything your ears desire. Smuggler’s Inn is a nightclub located in Kekova, the partially sunken island that is a stop on nearly all blue cruises through these waters. Dance to club music from local and international artists while meeting people from other yacht cruises. The most common sound on any blue cruise is that of laughter. Whether you are sharing memories with old friends or telling stories to new ones, laughter is a staple sound during any summer holiday, especially along the Turkish Riviera. Oh, the Things You Will See! There is no shortage of visual pleasure during a blue voyage whether on land, on board or in the water. Gazing at the stars from the deck of the gulet docked in Kas, watching the sun set over the Aegean from atop the hill on St. Nicholas Island, or snorkeling with the vivid aquatic life in Aquarium Bay will provide plenty of optical stimulation. For an all-inclusive view of a small portion of territory covered by Alaturka Cruises, go paragliding from Babadag Mountain near Fethiye. Inhale the fresh air as you observe mountains growing out of the sea, pebble beaches covered with sunbathing beauties, and private yachts floating about in the stunning blue waters. If you prefer to stay on the ground, sit from your chez lounge on a beach in Oludeniz and look up to watch the paragliders as they slowly fall back down to earth. Should we bring politics into the classroom? 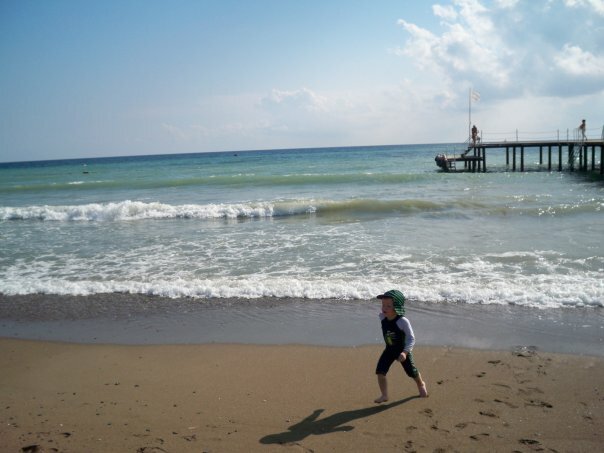 Child Free Holidays | Selfish or Sensible?